Casper has mastered how to sell mattresses in a box online. Now the company will test its strength at the store. 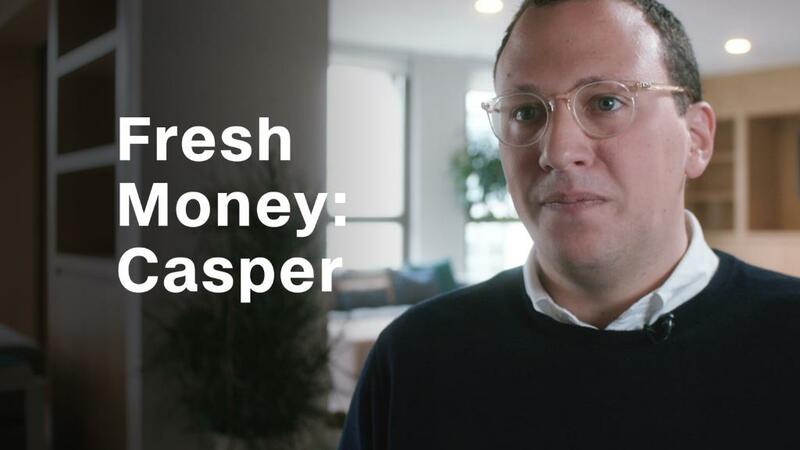 CEO Philip Krim told CNNMoney that Casper will open 200 stores across the country in the next three years. The Wall Street Journal first reported the company's plans. "It will give us a footprint to help educate consumers," he said in an interview. The announcement is a clear signal that Casper, an online startup that launched in 2014, believes a physical presence is still a crucial part of retail. Casper has recently rolled out 19 pop-up stores in markets like New York and San Francisco, and Krim said they are beating expectations, convincing the company to expand deeper. "The presence of physical stores increases both offline as well as online sales," said Barbara Kahn, a marketing professor at Wharton. A permanent store footing will help Casper build loyalty with current customers, gain exposure among new shoppers, and increase impulse buys that can only come from browsing physical locations, she said. In addition, people usually want to try out mattresses and bedding before they make a final purchase, and stores will give Casper another way to appeal to them. The plan marks a new front for Casper, which broke into an industry controlled by brick-and-mortar retailers like Mattress Firm and Sleepy's. Casper distinguished itself by pricing the only mattress it sold at the time below its competitors, as well as offering free delivery and a 100-day trial period at home. "Consumers have long gone into traditional mattress stores feeling uninformed and have been subject to ridiculous price points," said Bob Phibbs, CEO of the consultancy Retail Doctor. Casper offers just three varieties of mattresses, which gives it an advantage over rival mattress stores that offer a confusing array of soft, firm, foam, springy, and everything in between, Phibbs noted. Casper gained attention online with customers posting videos of themselves unboxing mattresses on social media, racking up $100 million in sales during its first full year. 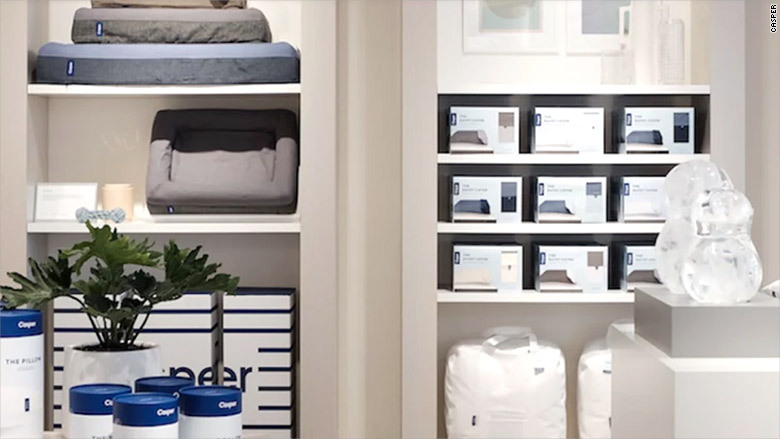 As it continued selling direct-to-consumer online, moving into bed frames, sheets, pillows, and dog mattresses, Casper partnered with retailers like Nordstrom, Target, and West Elm to increase distribution. "By opening stores, they are upping the ante to compete, and less well-funded competitors may be at a disadvantage," said Kahn. Amazon has also become a huge mattress player, increasing its sales in 2017 by 82% from the prior year, estimated research firm One Click Retail. Casper is only one of dozens of mattress brands Amazon sells. As Casper moves into brick-and-mortar territory, Mattress Firm is retrenching. Mattress Firm has closed 200 stores in 2018, according to Coresight Research, a retail think tank. Reuters reported this week that it was weighing a bankruptcy filing to close some of its 3,000 stores that were losing money. The company declined comment through a spokesperson. Casper is playing a different game than Mattress Firm, though. Online retailers like Casper and Warby Parker want stores to help it achieve scale advantages, while legacy retailers are trying to escape malls and invest in delivery and supply chains to survive online, said Jefferies analyst Randal Konik.